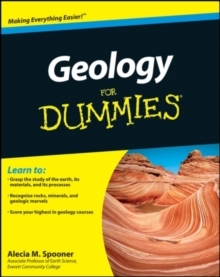 Get a rock-solid grasp on geology Geology is the study of the earth's history as well as the physical and chemical processes that continue to shape the earth today. Jobs in the geosciences are expected to increase over the next decade, which will increase geology-related jobs well above average projection for all occupations in the coming years. 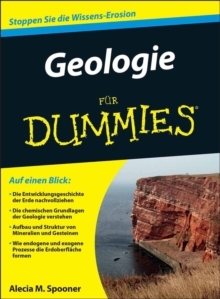 Geology For Dummies is the most accessible book on the market for anyone who needs to get a handle on the subject, whether you?re looking to supplement classroom learning or are simply interested in earth sciences. 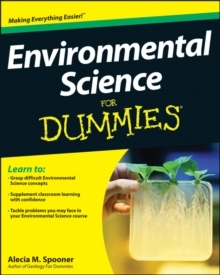 Presented in a straightforward, trusted format, it features a thorough introduction to the study of the earth, its materials, and its processes. Tracks to a typical college-level introductory geology course An 8-page color insert includes photos of rocks, minerals, and geologic marvels Covers geological processes; rock records and geologic times; matter, minerals, and rock; and more Geology For Dummies is an excellent classroom supplement for all students who enroll in introductory geology courses, from geology majors to those who choose earth science courses as electives.